Easily bored and sassy, Rabbid Peach is a fighter-princess. She is convinced that she is the most beautiful and fearsome hero on the battlefield and, even in dangerous situations, she never misses a chance to take a selfie. 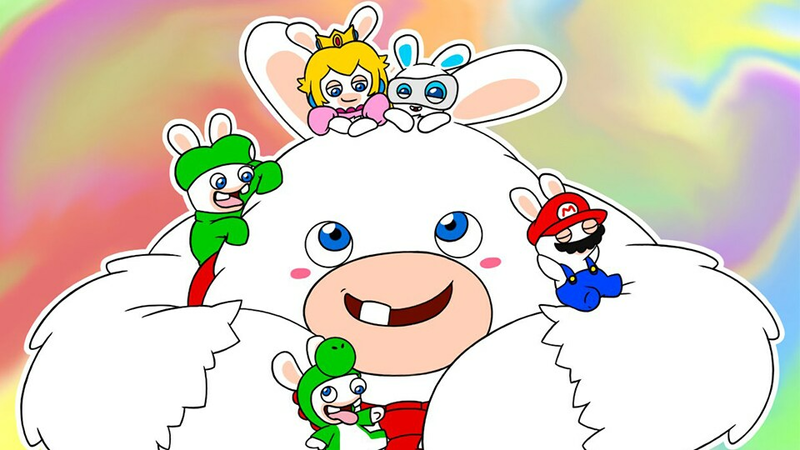 Rabbid Peach is also great at healing her allies, while always keeping an eye on her beloved Mario. 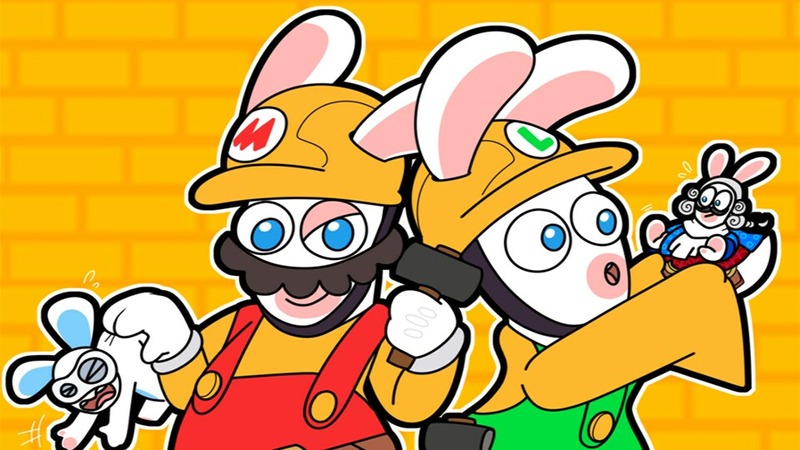 BLASTER: Just like her beloved Mario, Rabbid Peach uses a blaster, a mid-range weapon that lets her shoot enemies unfortunate enough to be outside full cover. SENTRY: The Secondary Weapon unlocked by Rabbid Peach is an autonomous moving mine with its own health. Rabbid Peach’s Sentry moves towards targeted enemies and explodes when it reaches them, dealing heavy zone damage. No matter how far your enemies run, the Sentry will follow! HEAL: Rabbid Peach is a fierce fighter, but she also cares about her allies. Her Heal ability restores a large percentage of health to all nearby heroes. SHIELD: As a healer, Rabbid Peach needs protection more than anyone. Fortunately, she can count on her Shield ability, which drastically absorbs enemy damage during one turn. DOUBLE DASH: Rabbid Peach has a special movement ability that enables her to dash two different enemies in a row while moving. Double Dash is especially useful when enemies group close together. CLEAR THE WAY: Not only does Rabbid Peach’s Sentry deal strong damage to enemies, it also makes a very good decoy. When released, the Sentry will activate all the reaction abilities of your opponents, opening a safe path for your heroes. DOUBLE HEAL: Peach and Rabbid Peach make for an amazing healer combo. After Rabbid Peach gets close to her allies and uses her Heal technique, Peach can Team Jump nearby, activating her Healing Jump technique and restoring even more health. BREAK DEFENSES WITH DOUBLE DASH: Some enemies can activate Outer Shell, a defensive ability that nullifies the damage of your next attack. To counter this ability, have Luigi enhance Rabbid Peach’s movement with Itchy Feet, letting her break through enemy defenses with a well-timed double dash and still have enough movement to find cover. 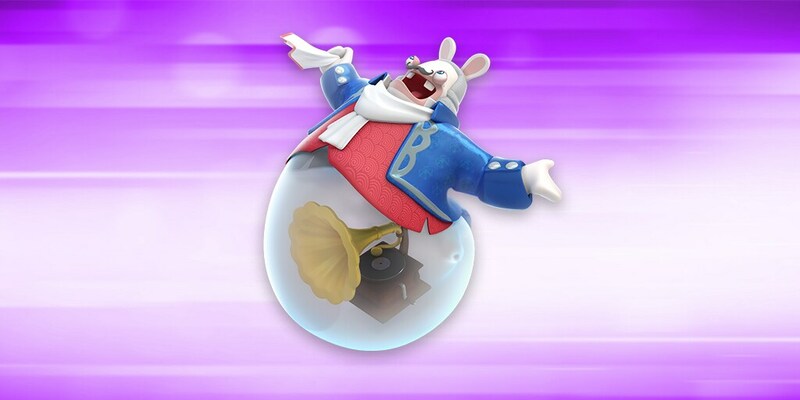 GROUP & BOOM: Use Rabbid Mario’s Magnet Dance ability to attract enemies into a big group. Once they’re all together, launch Rabbid Peach’s Sentry and blast away your foes in one big explosion.